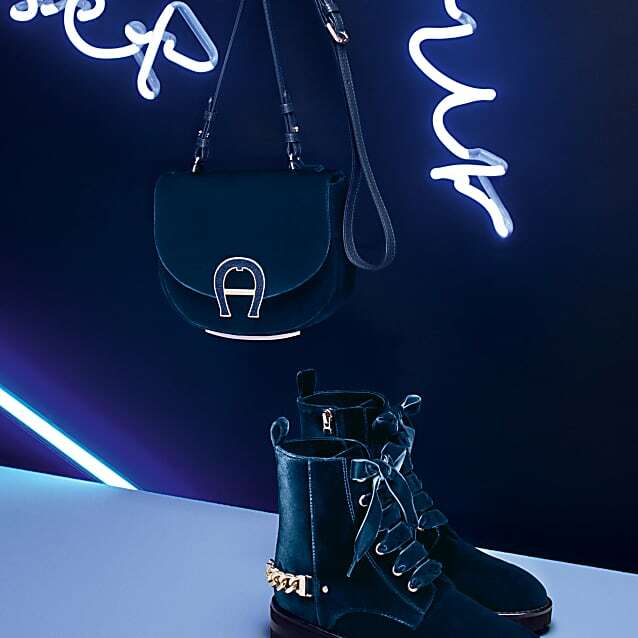 Looks and feels good: the Lea AIGNER ankle boot. 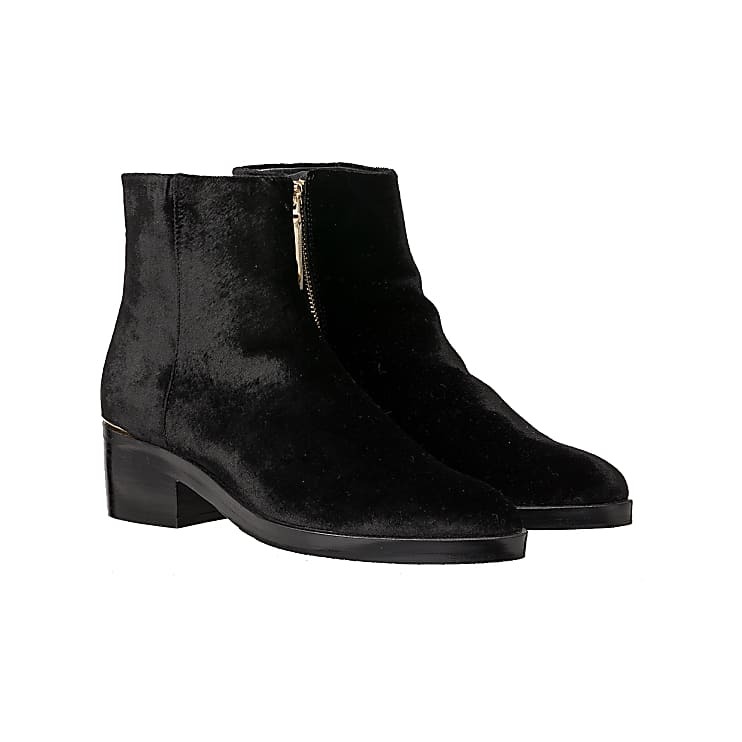 Made from fine velvet - the must-have material of the season - and with a gold-colored metal accessory on the heel to create the look. With full leather lining on the inside, as well as a comfortable block heel and a decorative zip on the inside: pure comfort.